Research firm Tubular Labs has predicted that T-Series will overtake PewDiePie’s 67 million subscribers by Monday, October 29. 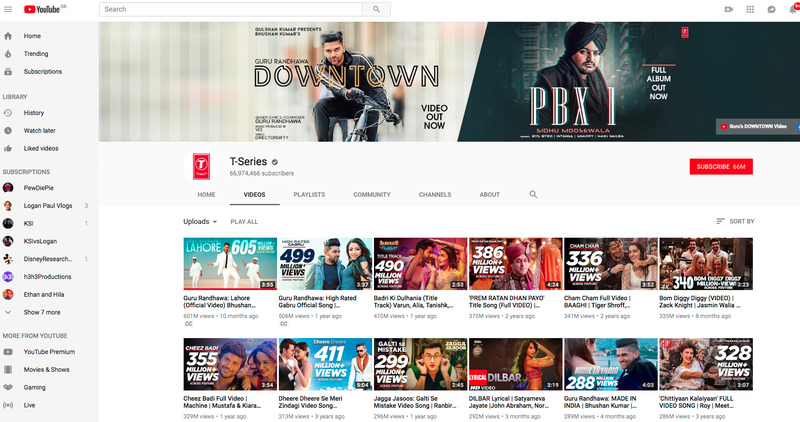 T-Series posts Indian music videos to its channel and is growing at a rapid clip, possibly thanks to India’s still-growing smartphone population. 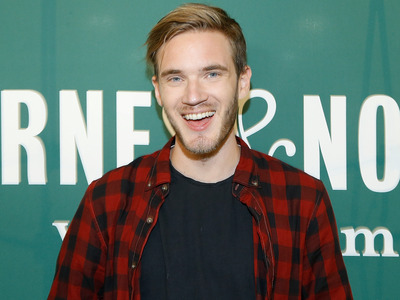 PewDiePie has racked up 67 million subscribers to his channel, despite purported Nazi jokes and racist comments, making him the most subscribed YouTuber of all time. It isn’t unusual for his videos to garner anywhere between 3 and 5 million views a few days after being posted. It already has more views than the Swedish YouTuber, but now it’s on track to beat him in terms of numbers of subscribers. 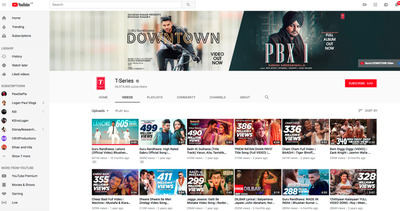 T-Series isn’t an individual, like Kjellberg, but a Mumbai-based film and entertainment company that has been around for decades.According to this Motherboard profile of T-Series, the company started out as an audio-cassette firm and offers music videos that go beyond Bollywood – which mostly consists of Hindi songs – with regional languages such as Tamil. T-Series’ YouTube channel comprises entirely Indian music videos. Its most viewed video is the song “Lahore” by Punjabi singer Guru Randhawa with 601 million views. There are a few reasons T-Series has the advantage over PewDiePie. Its channel is more prolific than PewDiePie’s, posting six videos in the space of 24 hours versus two from PewDiePie. As a one-man band, Kjellberg can’t keep up. India also has a population of 1.3 billion people and, unlike many Western markets, smartphone adoption is still growing. The country remains obsessed with Bollywood, so it’s natural that new smartphone owners would turn to YouTube to find their favourite hits. If anything, it’s surprising a Bollywood-oriented channel took this long to become the number one YouTuber. PewDiePie has talked about the rivalry with T-Series, and apparently expressed reservations that an “indie” YouTuber might be supplanted by a corporate channel.